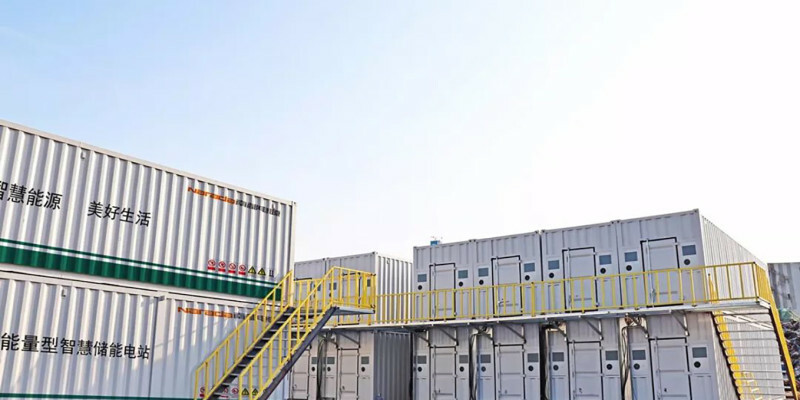 On July 5th, the 20MW/160MWh intelligent energy storage power station of Feida Group, which was deployed by State Grid Zhenjiang Power Supply Company, leased by State Grid Jiangsu Integrated Energy Service Co., Ltd., invested and constructed by Narada, successfully connected to the grid. This intelligent energy storage power station marking the modular pre-installed energy storage power station technology of China has entered the stage of large-scale application. This power station is the key project of the State Grid Jiangsu Electric Power during peak load of summer, and it is also the largest modular pre-installed energy storage power station in China. This power station is located in Jiangsu Danyang City, with a total area of 6,000m2and a construction scale of 20MW/160MWh. It is constructed in a modular form of the container. This energy storage system is connected to the 220kV substation of Feida Group from two grid points. Faced with multiple difficulties of this project such as the large-scale and hard mission, but tight time. Narada cooperated with State Grid Zhenjiang Power Supply Company, State Grid Jiangsu Integrated Energy Service Co., Ltd. and Feida Group Zhongzhi Eastern Jiangsu Heavy Industries Co., Ltd., completed the project construction in 45 days, which provided a typical demonstration for large-scale distributed energy storage construction. According to the forecast of Jiangsu Power Grid, the highest dispatched power load of Jiangsu Power Grid increased by nearly 10% year-on-year to reach 112 million kW in this summer. Jiangsu Power Grid will have power shortages during the peak-load of summer this year. After the power station is connected to the grid, the annual energy storage capacity is about 52.8 million kWh. It will play the role of peak shaving, demand side response, backup power supply, power quality improvement, etc. without changing the total power consumption of Feida Group.。It will reduce the peak load of the power grid effectively, relieve the power supply pressure during the summer peak period, and ensure the high-quality, efficient and safe power supply of the power grid. In addition, the power station will adopt the commercial operation mode to make use of the difference between industrial power peaks and valleys, so that the value of energy storage can truly become the cash flow of enterprises, helping enterprises to optimize electricity tariff management. With the development of smart grid construction and integrated energy services, the power station will participate in the digitalization, informatization and scientific management of energy in the future, and become an important support for the modern energy industry system.